Games have been used in schools since the 1970s. Currently, the games most commonly used in classrooms are ‘edutainment’ games such as Math Blaster (Boyle et al., 2016). These games are dissimilar to entertainment games that children play in their spare time, and may not meet learner expectations (Takeuchi & Vaala, 2014); they tend to facilitate lower levels of learning , and are less likely to enhance learning (Hsu, Liang, Chai, & Tsai, 2013). More complex and immersive games exist for use in classrooms, but these are used less frequently (Takeuchi & Vaala, 2014). So, then, why are ‘edutainment’ games the most commonly used type of game? Our literature search (Stieler‐Hunt & Jones, 2018), recently published in the British Journal of Educational Technology, identified two key barriers to using more complex and immersive games in classrooms: negative attitudes towards the use of these games in classroom contexts, and teachers’ difficulties in using these games for student learning. Teachers, and society at large, question the value of games. Some see them as ‘frivolous time-wasters’ (Stieler-Hunt & Jones, 2017), while others express concerns relating to addiction, the representation of gender and gender roles, and the portrayal of violence. Many teachers believe that games are irrelevant to classrooms (Dickey, 2015). Those who adopt them have concerns that their teaching colleagues will not approve (Gerber & Price, 2013; Stieler-Hunt & Jones, 2017). Our study (Stieler‐Hunt & Jones, 2018), employed inductive research methods to develop a professional development model that can be used by experienced games-using educators to assist cohorts of teachers to use games effectively. The professional development model emerged from analysis of in-depth interviews with 13 educators who were based in Queensland, Australia. The educators were from a wide range of backgrounds and teaching contexts. Most of our participants felt varying levels of frustration regarding their teaching colleagues’ resistance to using games in classrooms. Only two participants reported little resistance from their colleagues, and successfully supported their teaching colleagues to use games in their classrooms. Our article (Stieler‐Hunt & Jones, 2018) uses their experiences to develop a professional development model designed to help other teachers use games meaningfully for student learning. The professional development model is designed to be implemented by a mentor who has a recognised leadership role in the school, has experience using games in the classroom, and has the time and inclination to support teachers in a responsive manner during implementation. We identified three stages in the professional development process: ‘collegial planning’, ‘trying it out’ and ‘spreading the infection’ (Stieler‐Hunt & Jones, 2018). Our findings suggest that following this process is more likely to result in colleagues who are receptive to using games in their curriculum. In the ‘collegial planning’ stage, cohorts of teachers work together with the mentor to develop a plan of action for using games in the curriculum. In the ‘trying it out’ stage, a limited trial of the plan is conducted with the most enthusiastic teachers. The mentor works closely with the teachers and addresses issues and concerns. The final ‘spreading the infection’ stage involves the remaining teachers implementing a revised plan. The full contribution of games to classroom learning will not be realised until all teachers are able to embrace the affordances of games. This professional development model (Stieler‐Hunt & Jones, 2018) helps to build capacity in cohorts of teachers to use games in their classrooms. This blog post is based on the article ‘A professional development model to facilitate teacher adoption of interactive, immersive digital games for classroom learning’ by Colleen Stieler‐Hunt and Christian Jones (2018), which published in the British Journal of Educational Technology. It is free-to-view for a time-limited period, courtesy of the journal’s publisher, Wiley. 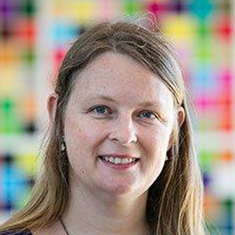 Dr Colleen Stieler-Hunt is a researcher and lecturer in the Serious Games program at the University of the Sunshine Coast. She was a game designer, researcher and producer for Orbit, a child sexual abuse prevention game. She has more than 20 years’ experience in education, with a background in primary and secondary education and ICT educational policy. Colleen has won national and international awards for her work in education. She is currently designing and conducting research on alternate reality games to help university students learn. In her spare time, she plays both board games and digital games, and trains her two parrots using positive reinforcement methods.